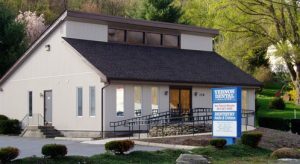 The practice was established in 1969 by Dr. John A. Covucci. His dedication to the practice, the dental profession, and to each of his patients could easily be seen through the professionalism and loyalty of each member of his staff. Sadly, he passed away in 2006, but not before instilling those same values and principles to his oldest daughter, Dr. Laura A. Covucci, who joined him in practice in 1996, and continues his legacy today. Dr. Cecelia Garcia joined the Vernon Dental team in 2013, Dr. Darren Sacks and Dr. Ecio Pozzi joined in 2015. Our values are simple. We feel that it is important for us to treat our patients as we would like to be treated ourselves. We listen to your concerns and opinions while striving to provide you with the most up to date and proven dental treatment options. We commit ourselves to maintaining a one on one relationship with each of our valued patients, and welcome your input into the dental health treatments that best fit yours needs and desires.